Art portfolios come in two forms: traditional, physical portfolios that you can carry around with you and digital portfolios that you can e-mail or post online for people to see from anywhere in the world. You slip the hard copies inside plastic sleeves that you then place inside a professional-looking portfolio, which you can take with you to interviews or networking events. 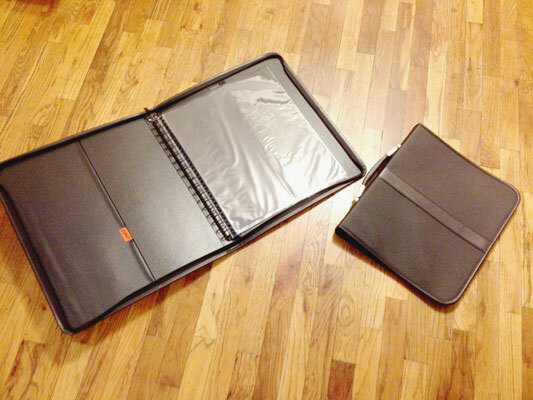 You can use something as simple as a black zippered case with a handle that holds all your sketches. Digital portfolios put your work into any kind of digital presentation. A digital portfolio can include pages on a website, a folder from a portfolio-hosting website, a file such as a PDF with multiple pages, or a PowerPoint slideshow. After you’ve completed the digital file, you can e-mail it to people in another city or country or post it online for others to view. A digital file of your work may start out as a slideshow full of your sketches (these sketches are by Christina Ngo). The best choice is to have both types of portfolios — physical and digital. That way, you can send your digital portfolio by e-mail or refer potential clients to your website before you meet in person so they can get an idea of your talents. During the meeting, you can talk through your creations as your potential client browses through your traditional portfolio.